The precision cooker at low temperatures. Precise, long-lasting and reliable, it will help you achieve your goals. 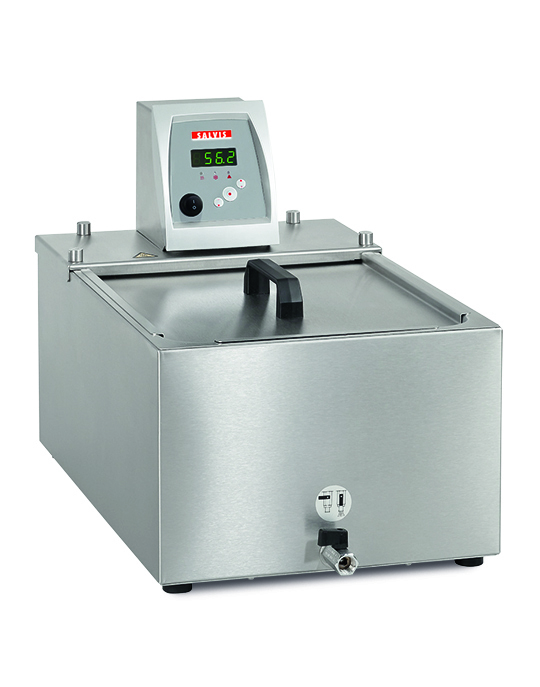 The Salvis SousChef is a high-performance sous-vide circulator for the sous-vide professional. Its use simplifies delayed production, the intensification of flavours and guarantees perfect textures at precise temperatures. The Salvis SousChef easily masters its core task, cooking at low temperatures, for à-la-carte, banquet and large-scale catering. The powerful circulating pump ensures even temperature distribution, even for follow-on orders or large quantities. The insulated GN containers supports the low-energy cooking processes in terms of safety and ensures good economy. smart cooking – par excellence! Three practice-oriented machine sizes to take up little space. n Operator head with simple operation and easily readable, digital LED display. Temperature input from 20 – 95 °C in 0.1 °C steps. Timer to control cooking with digital remaining time display. 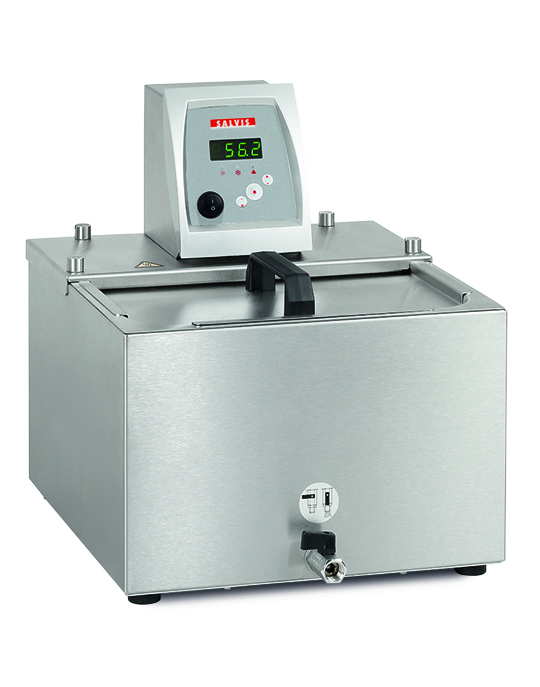 n Precise temperature control for perfect cooking results with temperature constancy of ± 0.05 °C. 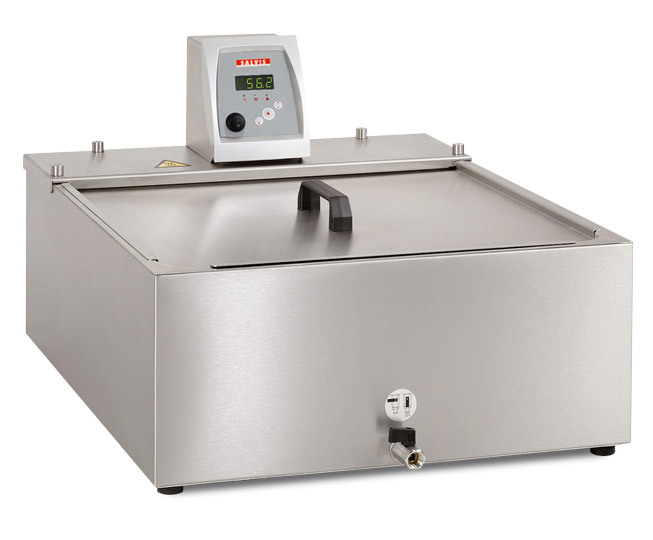 Rapid heating of the water in the pan with 2.0 kW output for all machine sizes. High-performance circulating pump for even temperature distribution by means of circulation, even when fully loaded. Low-level protection with acoustic and visual alarm with emergency shutdown if the water level is too low. Pan drain to the front with ball valve and drain hose. n Removable operator head, with water pan bridge and protective grille. Deep-drawn pan with round corners for easy cleaning.